Soft, sweet, almond-flavored muffins. Topped with a rich, buttery, melt-in-your-mouth crumble. 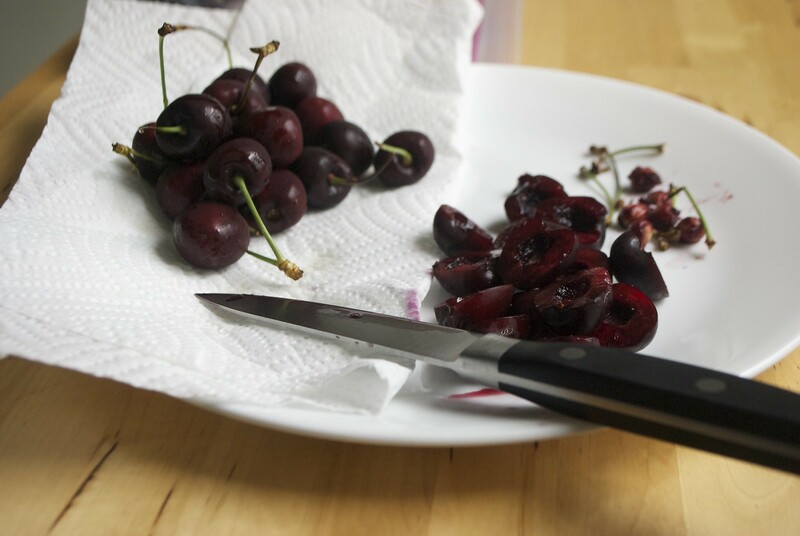 Studded with fresh cherries, baked, soft, juicy. These muffins are something special. They’re just decadent enough, without being too much for the morning. 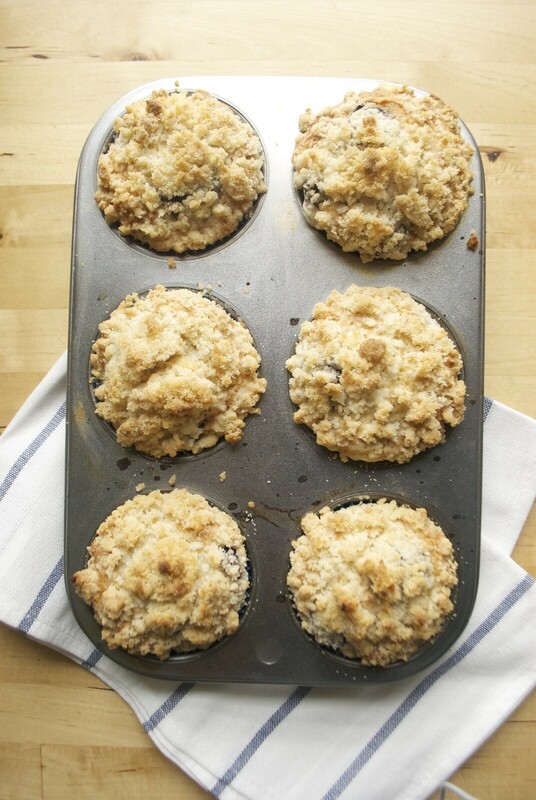 I’ve been trying out protein shakes for breakfast recently, and these muffins are a welcome break. They would also make a beautiful Valentine’s Day breakfast. Just last week, I found myself with a bag of cherries to cook with and no clue what to do with them. I searched through so many recipes. I exhausted the possibilities of jams, sauces, and pies. And finally, I settled on the one thing I found no cherry recipes for. 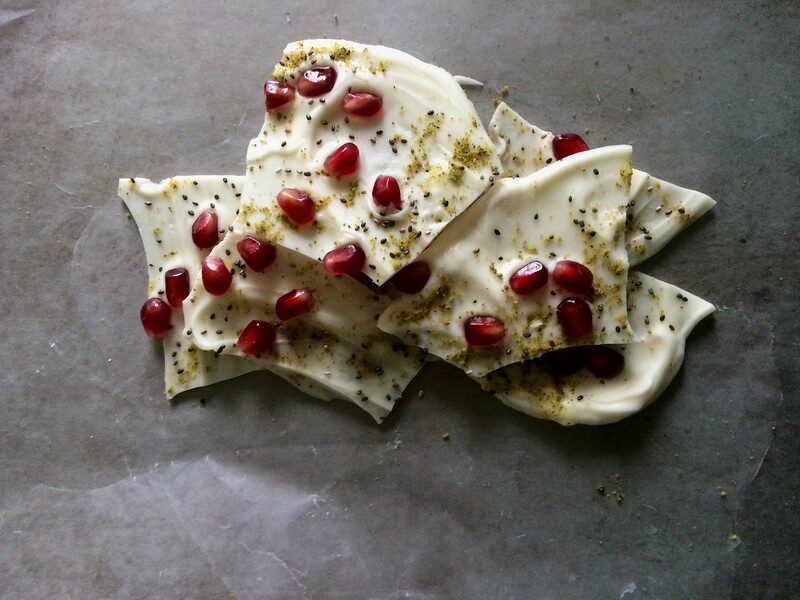 This is a sweet, silky white chocolate bark studded with fresh pomegranate arils, dusted with ground pistachios for color and flavor, and sprinkled with chia seeds for extra crunch. It’s bright, sweet, and just a little tart. 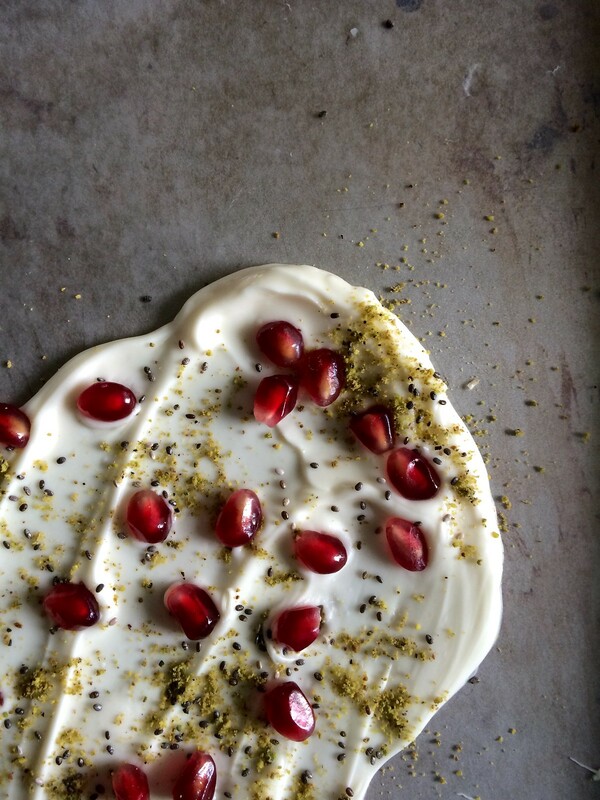 It is familiar but unexpected, a new twist on an old treat. It’s exactly the combination of flavors that I feel like I’ve been needing recently.